This week's word for the 52 Snapshots of Life Photo Challenge hosted by The Lazy Pit Bull is "Dream". Our photo this week is of Shiner who is daydreaming about chasing and barking at the phone utility man in our yard yesterday. Shiner kept her daydreams to herself, however and did not bark or attempt to run towards him once while we were out on the deck. Good doggy! Now for a few other snapshots from the week that we haven't shared on the blog yet. 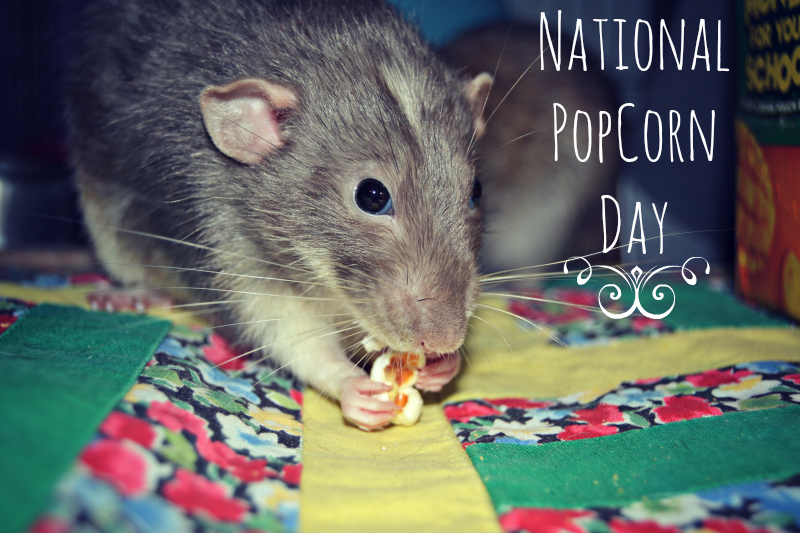 Monday, January 19th was National Popcorn Day and you can bet Gus and Jack were ready to celebrate with a tasty snack. On Thursday, Shiner was featured on Confessions of a Rescue Mom in a special interview. If you haven't seen it yet, you can check it out here. The week was mostly rainy and cold, but things started looking nice and sunny this weekend. 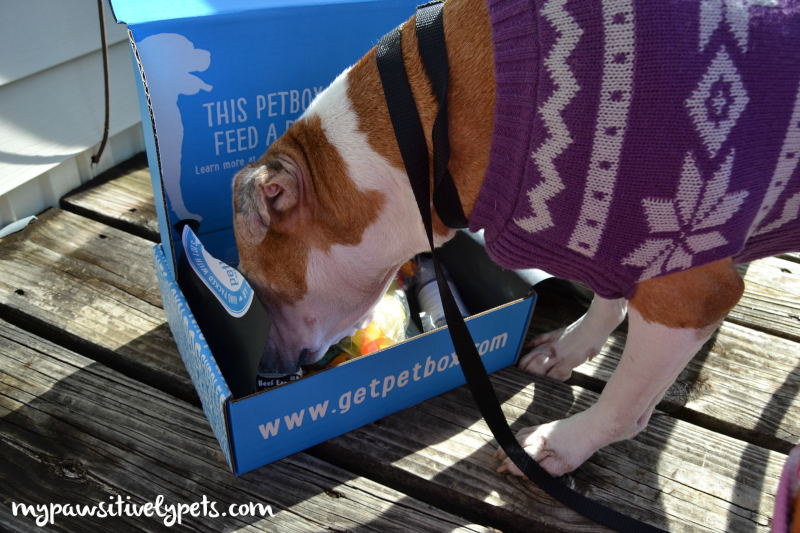 We decided to open our January PetBox yesterday and will share our review and giveaway tomorrow. 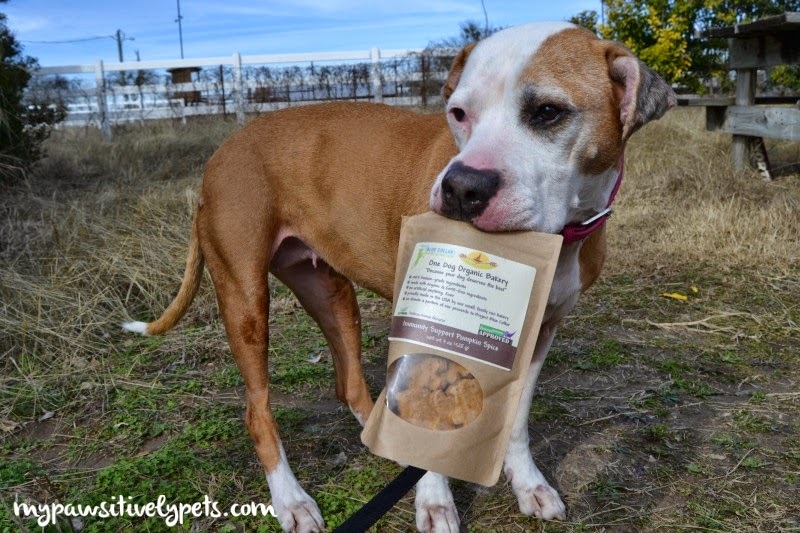 And finally, Shiner sampled some new dog treats from One Dog Organic Bakery on Saturday. Stay tuned later this week for her full review and a giveaway. And that's about it for this week. Tell us what you've been up to in the comments! BOL! Yes, you are right... no calories is a good thing. Those were sure terrific photos and they made us all smile! We love popcorn in our house too. Have a great weekend. 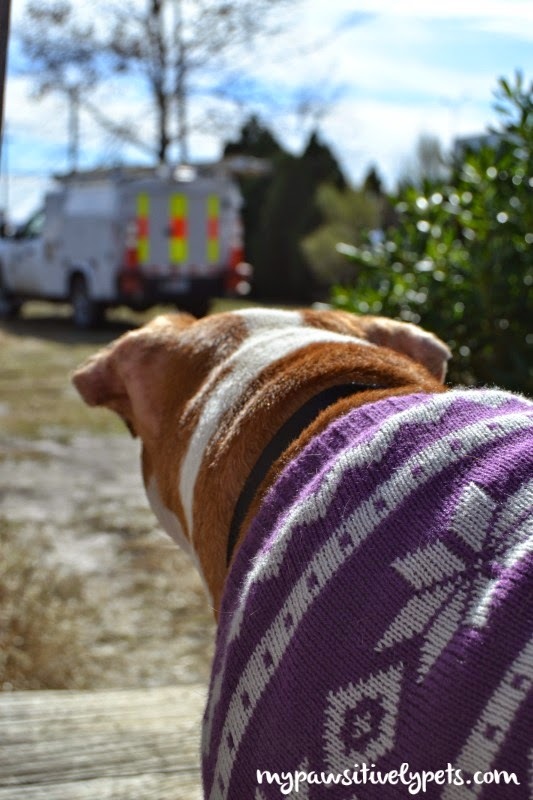 Shiner sure looks adorable in her sweater! 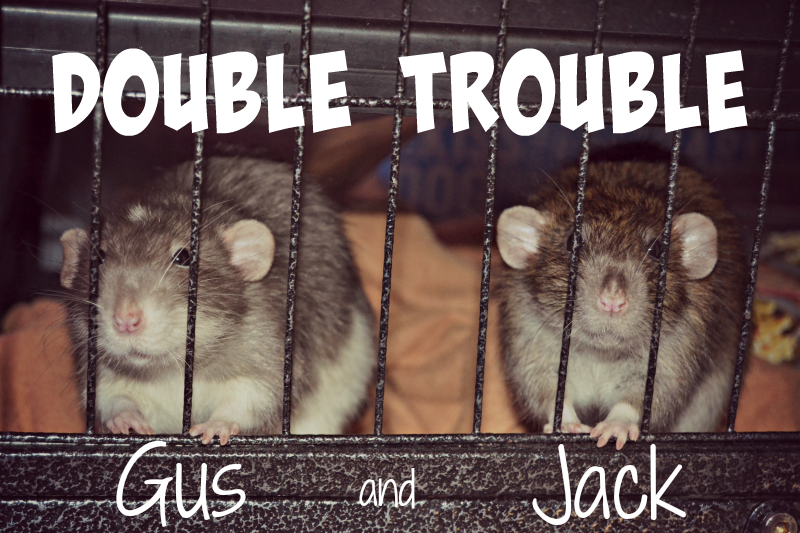 And Gus and Jack -- we love popcorn, too! What a fun week! I know Neeko dreams about barking at utility men. Such a good girl Shiner - I hope Laika will be able to have such composure when faced with utility men. Good girl to keep the daydreams in her head instead of barking them out! I saw Double Trouble on Facebook and liked it there but want to say that it's really cute. Because my dogs love all kinds of treats and toys!